I'm thrilled to announce my cousin, Heather Trefethen's debut novel, Love to the Women, is now available on Amazon! I'm so proud of her for taking the plunge and making her novel available to the public. I've read it and I love it! I broke my one rule for reading books by friends or family, because I never want to tell somebody close to me on the chance that I don't like their book. BUT, I can say that Heather's book is just great. She's written a funny, touching story of family and how important family can be when you need them. Thematically reminiscent of Harry Chapin’s “Cat’s in the Cradle”, Love to the Women tells the story of senior architect Steve Sheridan who, in an effort to provide for his family, ends up nearly losing them. Everything always seemed perfect to Steve, right down to his girls’ matching outfits and his wife’s basic black dress. Upon retirement, however, his dreamlike image quickly becomes a nightmare as Donna, his eldest, embarks on one pre-wedding rampage after another while her sisters, Ruth and Penny, wage their own separate battles. Even Jayne, his wife, seems a stranger. In a quiet moment of epiphany, Steve painfully realizes that although he’d always held faithfully onto his love for his women, his new purpose has to be to regain their love for him. 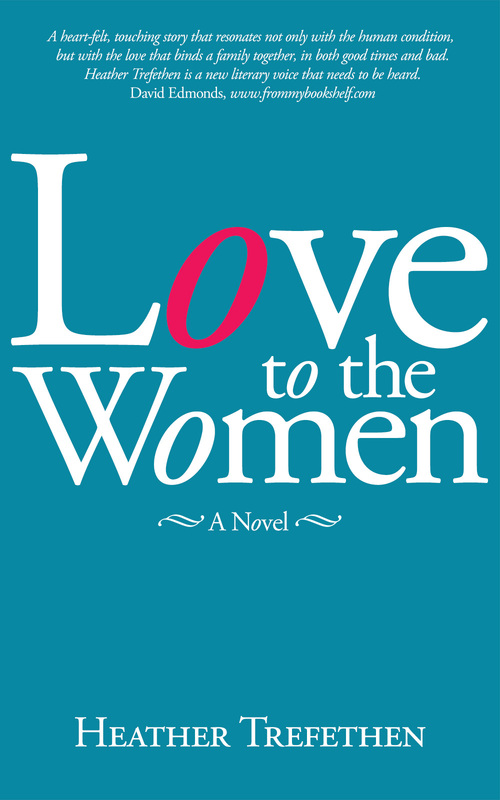 Filled with a variety of rich characters that leaves you smiling and laughing, caring and crying, Love to the Women promises not to disappoint as Steve and the Sheridan women all learn what it truly means to provide. If you'd like to check it out, it's available as both a paperback edition and a Kindle version and you can click the link below to go right to Amazon and check it out.